Visual learner? 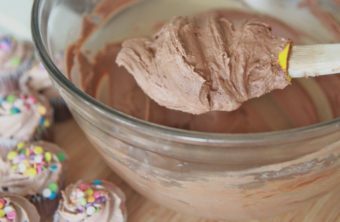 Watch me make this Old-Fashioned Chocolate Frosting from start to finish! What goes better with a homemade yellow cake than good old-fashioned chocolate frosting?? I mean chocolate frosting is made for yellow cakes. It’s a rule. A given. It just seems so unethical when I see a yellow cake with another frosting. And not to get all judgey or anything but I seriously, low-key question a person’s values when they go with anything other than chocolate frosting for a yellow cake. I mean… I would still eat the entire cake, I’m not rude! 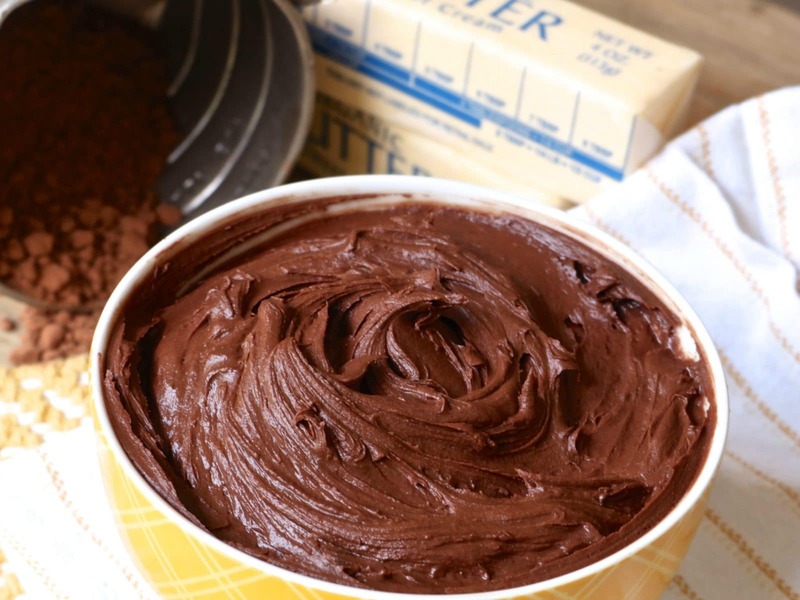 So now that you have agreed to go with chocolate frosting for your yellow cake, (I do this to my husband all the time) let me share with you a fantastic recipe for old-fashioned chocolate frosting! Side note: Remember that yellow cake that was giving folks trouble on my site? Well, I’ve got another one coming up that I think will be a hit with all! No worries, I’m still leaving the old recipe up for those who love it as much as I do! This chocolate frosting I’m going to be sharing with you today is the bee’s knees, ankles, and toes! You’ll want to add this classic to your “to make soon” recipe file because can you really try out too many frosting recipes? This is the recipe (only tweaked a tad by increasing the butter and adding in extracts and salt) that are in so many of my grandmother’s old cookbooks, including the 1930’s Hershey’s cookbook. I’ve got a sweet spot for chocolate frosting made with Hershey’s unsweetened cocoa powder. Sure it’s not the most high-end, unsweetened cocoa powder brand but it’s a true classic and really lends that old-fashioned flavor that I grew up on. 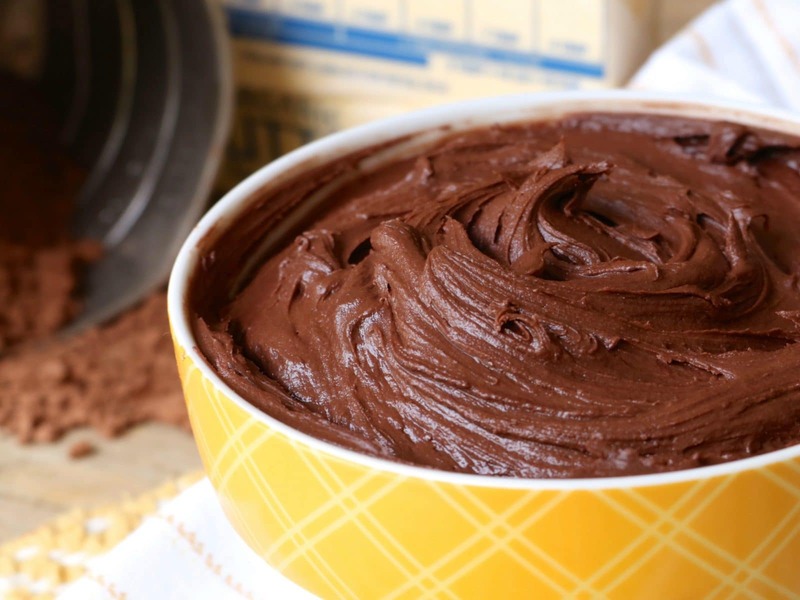 Not to mention, this chocolate frosting is so easy! No melting chocolate, just throw it all in a bowl and mix until creamy. Out comes this creamy, chocolatey frosting that is good enough to eat all by itself. The pinch of salt and cocoa powder brings the sweetness down to a reasonable level. As much as I love my sweets, I’m not a fan of too-sweet frostings. It’s good for a couple of bites, but then I get over it quickly and end up just eating what’s underneath the frosting. Whether you are pairing this frosting with homemade yellow cake or devils food cupcakes, you’ll love the simplicity and old-fashioned flavor. Which is just how a frosting should be! Mix in milk, vanilla extract, butter flavoring and salt, until creamy. This frosting is thick but gets softer when stirred before spreading. If you prefer it thinner, add more milk but only a drop at a time. A little milk goes a long way. This frosting will frost 24 cupcakes or a 9 x 13 cake. Whenever I want to do 2-layer cake I make the recipe as written plus a half recipe and this gives me the perfect amount of frosting without too much left over. Whipped Chocolate Buttercream Frosting~ The BEST!! Absolutely amazing ! 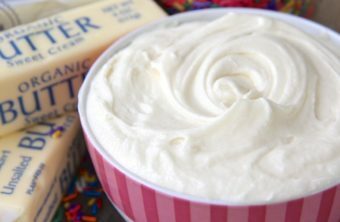 I’ve tried just about every frosting recipe and this has just the right consistency and thickness, and tastes even better than pillsbury icing ! Is the “natural butter flavoring” the same as butter extract? What is natural butter flavoring? ?